Gripsweat - The Circle Widens - Weird Understanding on Korland. Canadian psych rarity 1969! The Circle Widens - Weird Understanding on Korland. Canadian psych rarity 1969! 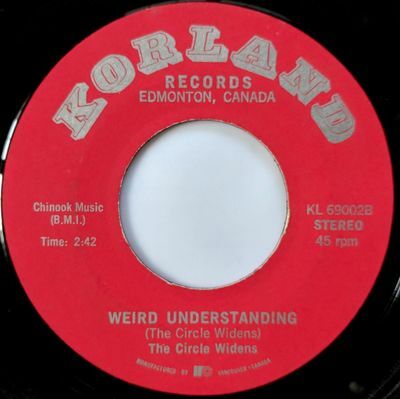 Super hard to find Edmonton, Alberta single on Korland Records from 1969 or 1970, "See About Dreaming" b/w a killer B side, "Weird Understanding"! Catalog numbers KL 69002A and KL 69002B. Single is VG+ on both sides, with superficial light lines and marks. Plays really well, you won't be disappointed!